Today Ada Lovelace, the world’s first computer programmer, reminds me how much I love The Mersey Sound, a collection of poems by Liverpool poets, Adrian Henri, Brian Patten and Roger McGough. 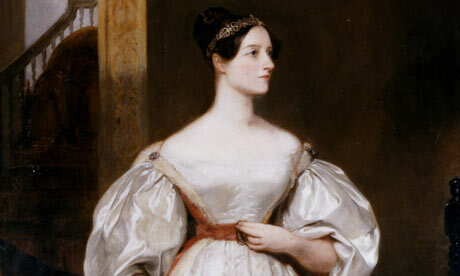 Tuesday October 16th 2012 is Ada Lovelace Day. Ada worked with Charles Babbage on his Analytical Engine, intended as a calculating machine, she had the imagination to realise it could do so much more. Her mother had Augusta Ada King, Countess of Lovelace (10 December 1815 – 27 November 1852) tutored in mathematics and music to dispel the flamboyant and naughty poetic tendencies of her father, George Noel Gordon, Lord Byron. Here’s Joan Baez with Byron’s original.. I was in Liverpool for a year in the seventies, the very late seventies. My timing is such that I missed the last few bars of the Beatles and arrived in time for the devastation, street after street falling for redevelopment. Of course it’s all beautiful now…? What is certainly beautiful, is how imagination feeds science as much as it does poetry and music.